BERLIN -- German prosecutors said they are investigating former Volkswagen Group CEO Martin Winterkorn on suspicion of fraud as they expand a probe into the automaker's emissions test-cheating scandal. Winterkorn may have known about the manipulation sooner than he has so far said publicly, prosecutors in Brunswick, near VW's Wolfsburg base, said on Friday. "Sufficient indications have resulted from the investigation, particularly the questioning of witnesses and suspects as well as the analysis of seized data, that the accused [Winterkorn] may have known about the manipulating software and its effects sooner than he has said publicly," they said in a statement. Prosecutors also said that 28 homes and offices were searched last week in connection with the investigation. They said they had increased the number of people accused in connection with the scandal to 37 from 21, including Winterkorn. VW has said its management board did not learn of the software violations until late August 2015 and formally reported the cheating to U.S. authorities in early September that year. 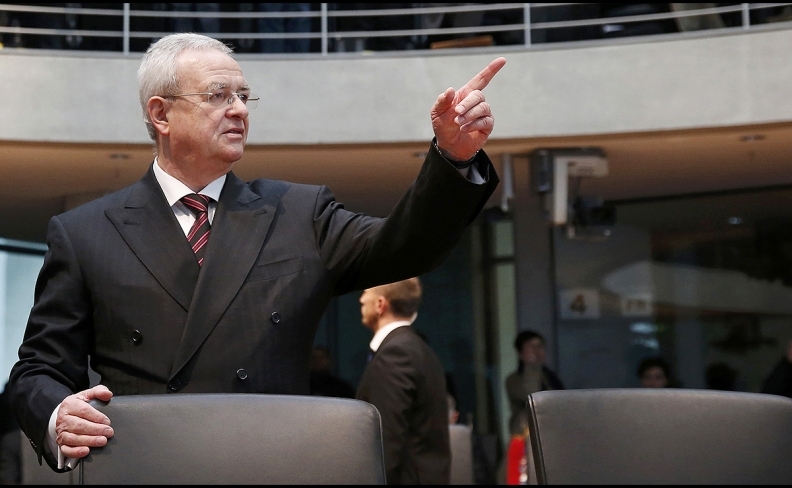 Winterkorn told a German parliamentary committee of inquiry into the scandal on Jan. 19 that he did not know about the software cheating earlier. The widening of the investigation will add to the carmaker's legal headaches and may help investors seeking 8.8 billion euros ($9.41 billion) in damage claims for the collapse of VW's share price after the scandal broke. Winterkorn denied any wrongdoing when he quit on Sept. 23, 2015 but said he was clearing the way for a fresh start at VW with his resignation. Winterkorn ran the automaker for more than eight years. In the U.S., six former and current VW executives not including Winterkorn were charged this month in connection with the scandal. One executive, Oliver Schmidt, was arrested in Miami earlier this month and is being held without bail. The other five remain in Germany, prosecutors have said. In September, VW engineer James Robert Liang pleaded guilty in a U.S. court and is awaiting sentence for his role in rigging emissions software on 2.0-liter diesels sold.